This well known writer is new to me, but I am totally delighted with the first of his books that I read. If you like literary illusions, wry humor, and a deft psychological novel, you will love this book. I'm now reading Death's Jest Book and so far, it's just as good as Good Morning, Midnight. I found the beginning quite tedious and had to start again at the beginning - but then it was well worth it. 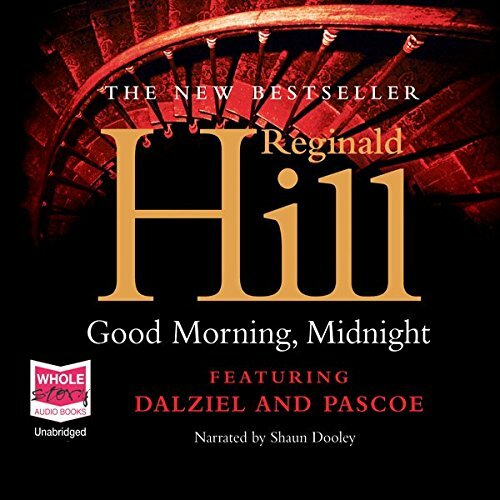 Narrator is absolutely amazing and the reason why I stuck it out (also I read the death of daziel before - which i loved). Not the most likely story but the dialogue and character development is fantastic - especially for a 'crime novel'. Loved it, Its funny and surprising. couldnt stop reading, and the book is full of smart. idioms. A little too political and big-business for me. Didn't like it at all, although Shaun Dooley - as always - is an outstanding narrator. Pleasant Surprise and a Really Good Book!!!!! Wonderfully written, narrated and a very good book. A must read/listen!!!!! I've been recommending this book to a lot of my friends. I listened to this book and at the end I thought "what went wrong". It has good rich characters but the author did not use them to their fullest. The ending was just a real let down. I would not invest the money (even a free credit ) for this book.